Note the paper small magnet based speakers they put into the "Shaker 500" system... not sure where 500 would come from as these were only 25W. Sorry it took a while to get these up... but now they're here. I just made the combo pic as I'm putting my Mustang up for sale - if it sells, great, if not... oh well! The rest of the car doesn't really need deadening. Only reason I did the doors is the resonating I was getting from the midbass in the door. These cars are extremely quiet to begin with and when you start tearing them apart you see why. MB put rubber washers between panels and clips touching metal parts. The interior aluminum door card is sealed to the door frame with a large rubber gasket. No chance for the two metals to resonate against each other. The car is done like this throughout. This is something most people don't see or know about. Great cars and you guys that drive these cars everyday won't really appreciate it till you go jump in a. Honda or something. Thanks for this. I have something rattling in my passenger side door and I needed to figure out how to take apart the panels. I'll give it a shot today after work or during my break. Something must have gotten loose after the dealership took it apart to install the new wood grain kit. It has been driving me nuts! I'll let you know what I find. 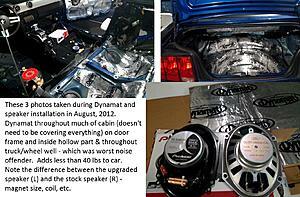 That's where mine was too but mine was only resonation from the midbass driver causing the door panel to vibrate. It's gone, not a single rattle anywhere. The deadest car I've ever ridden in. My 211 is dead too but the engine is noisy compared to the 550. 550 is one silent operating motor till you punch it!! 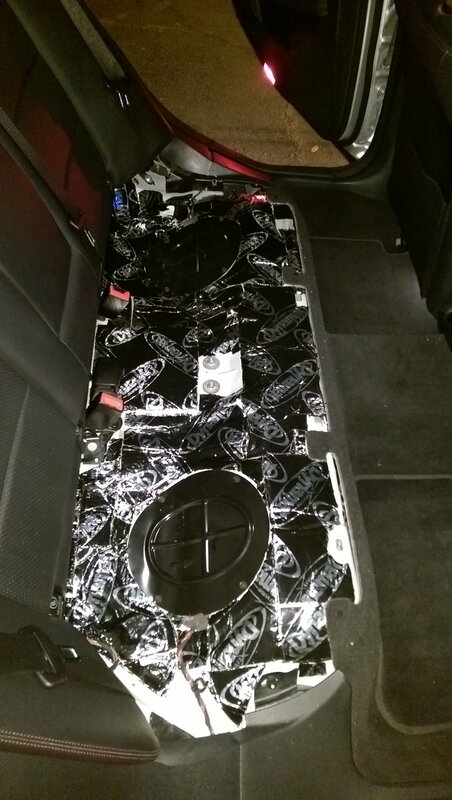 Did you have an even quieter ride doing the door panels? It wasn't a lot, not worth doing specifically for road noise. Man I can't get the square piece out of the hole. I pulled the little piece out of the middle with my needle nose pliers and I still can't get it to come out. Any tips? 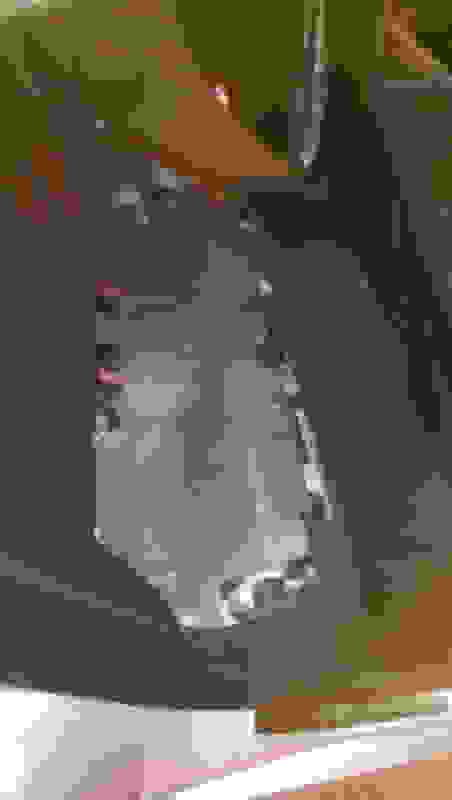 Do I need to remove the upper trim completely too? The noise is definitely coming from the door panel though and I can feel exactly where it is. I just want to get it off completely to make it easier to work on. I tried again this morning and got the square piece to pop out. 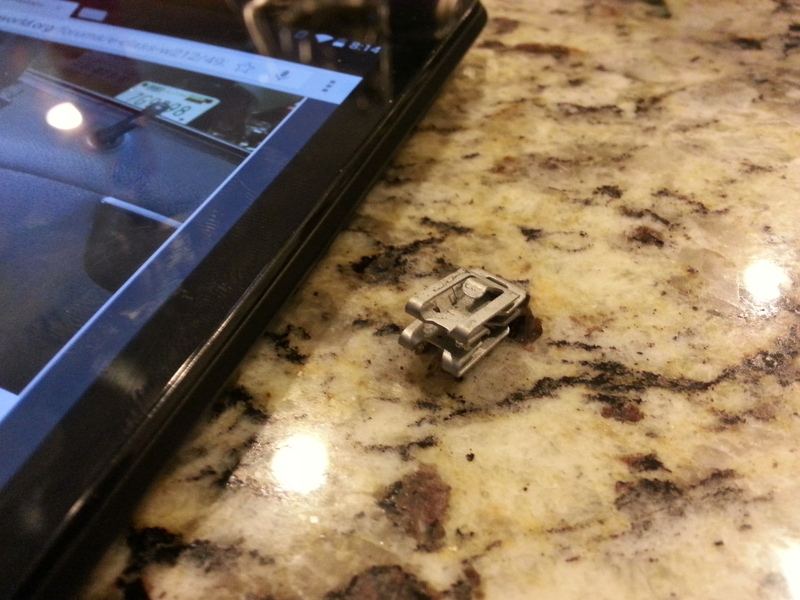 There was a little clip floating around loose in the armrest / window control area. As I turned accelerated and stopped, it would slide around in that smooth plastic and it was driving me nuts. I flipped the panel around a few times and removed part of the wool covering, and the clip fell out. I couldn't figure out how to detach the door handle from the cable. All the others were simple electrical connections. Seems like the mids could definitely be improved. What speakers did you consider? I needed something 3.5 or smaller based on the limited room. I opted for the cliff design es02 for their extreme sound quality and their size. I also considered the focal 3.5" midrange. Here's a picture of the clip that was sliding around in my door. Just finished reading your blog about sound proofing your E class, man you've got guts. I think what you did is a great idea and it would be easy for MB to do it during the build at the factory, of course they never will but I take my hat off to you. So I am curious..... what about the center dash speaker? How do I remove it and what should I replace it with? Thoughts? I'm starting to notice the vibration in the door with the midrange bass now. Maybe it was due to not putting the door back together properly. One of my orange pegs was stuck in the hole and I pulled it out and stuck it back in the panel. Also, that black square key thing pisses me off, I can never get it back locked in right anymore. So probably due to these pieces not being tight, there's some vibration. The good news is it's only at extremely loud volume. Bad news is I like listening at loud volume often. 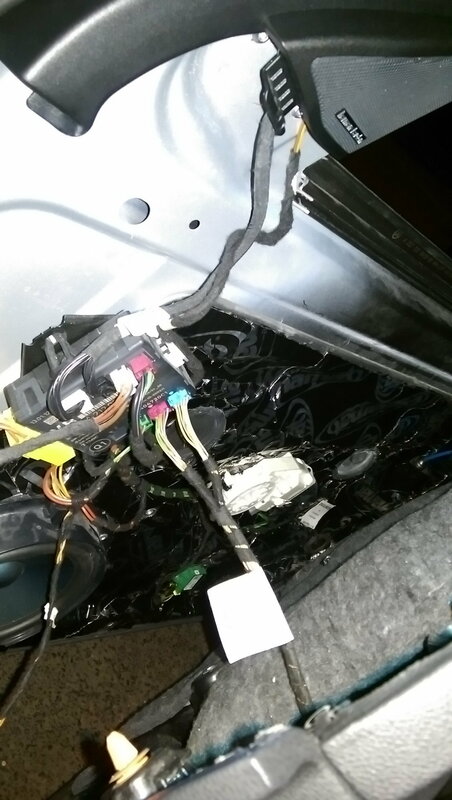 I might do the deadening, but I probably should get a replacement clip set too, since I mangled some of mine. Could you post more details on your deadening process? The only comment I have is I don't like using steel tools on any interior part I can see. I have found a couple of cheap Richards plastic putty knives a great tool for this purpose. I have a couple I have modified for narrower spaces and shorted for access. This is a great thread and really useful to see how to get at the components. I wondered if someone could confirm if the door speaker 'grill' can be removed without taking off the door card? I am trying to understand if the speaker grill is fixed on from the inside of the door card or has been popped into place. I don't really want to pull at the speaker grill for fear of bending, snapping it, etc. As far as I know you have to remove the entire door panel. Your welcome fellas, thanks for the comments!! Just want to help fellow enthusiasts looking to do the same or similar and hopefully make their experience easier. 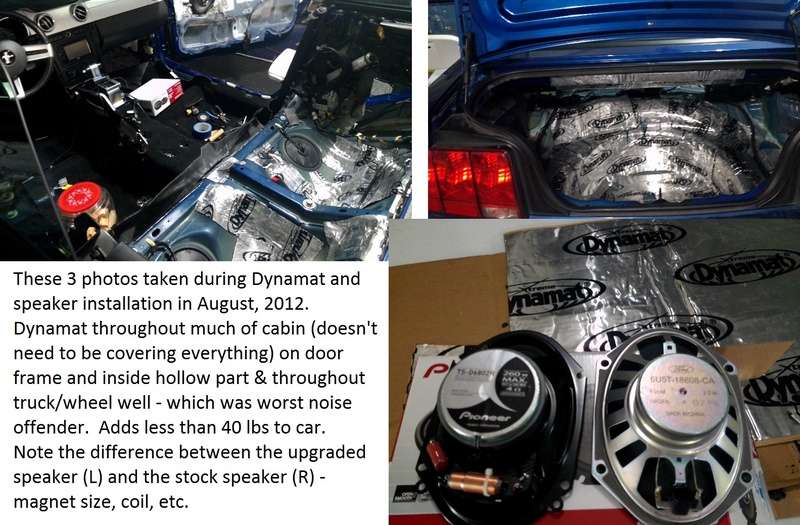 Pls excuse my interruption as I have a 2015 ML, but I have had extensive mods done to my low rent factory audio system (not HK). Have changed speakers. HERTZ spkrs rated @ 100 watts continuous. Amp is ALPINE 400 watts continuous (matching spkrs). Installed HUSHMAT ELITE in all 4 doors & last,but not least, AUDISON BIT ten processor. This was an over 6 months project. Looking the first 3 mos. to determine what components to install. Another 3 mos. to make the install in stages. I have to add that I have an electronics & audio backround. Also am fortunate to have a great installer who did all the tech work. We worked together before going ahead with the next step. When the last step (processor) was completed last week even that was not easy. This required a Real Time Analyzer & computer aided adjustments. All this has to go through a final "tuning". 2 separate days. 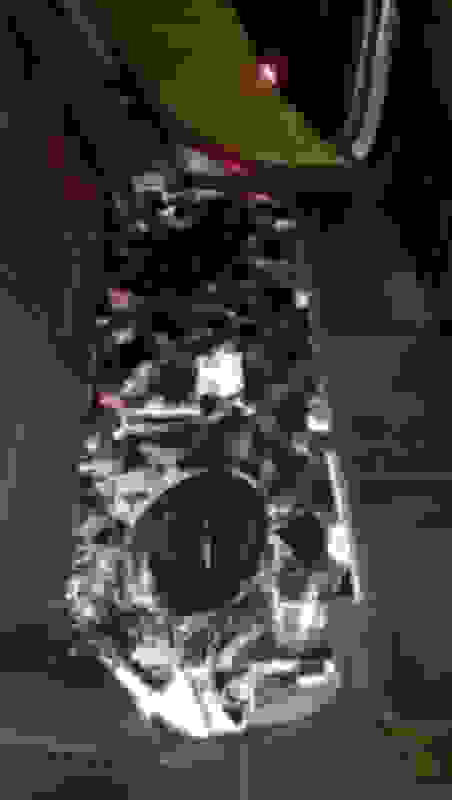 Tuning is a type of Black Art as the final adjustments are confirmed by ear. This definitely is not @ D I Y project. Nothing was done to alter the Mercedes dash appearance. The final result was outstanding. There is NO distortion or rattles @ any volume level. If necessary everything can be reversed in a day & back to the oem system. One final bit of advise. Don't do this unless you have an installer who REALLY understands all this & has experience & takes pride in his work. After many grueling hours I am mostly finished with soundproofing my vehicle. I used dynamat extreme on the front doors, dynamat topped with second skin luxury liner cut to spec on the rear seat deck. and dynamat extreme topped with dynaliner in the urea tank compartment. I am going to have a body shop remove the front wheel we liners so I can apply dynmat and then dynaliner on top to kill any transfer of road noise into the cabin. the vehicle already sounds like a coffin on wheels and the audio system has a lot more punch now (the mids and lows hit me in the pit of my stomach). do you know i have a 3 way speakers with a 3" mid range , do you think it will fit the door panel along with 6'5 ? 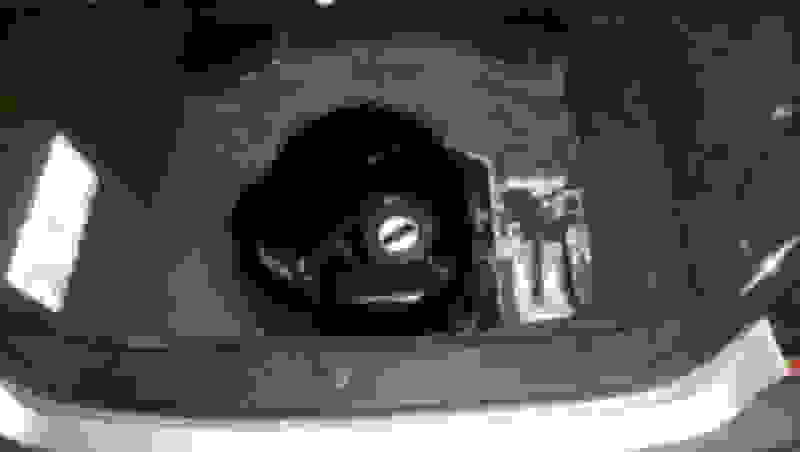 [QUOTE=Carpenter Maass;6579525]After many grueling hours I am mostly finished with soundproofing my vehicle. I used dynamat extreme on the front doors, dynamat topped with second skin luxury liner cut to spec on the rear seat deck. and dynamat extreme topped with dynaliner in the urea tank compartment. I am going to have a body shop remove the front wheel we liners so I can apply dynmat and then dynaliner on top to kill any transfer of road noise into the cabin. the vehicle already sounds like a coffin on wheels and the audio system has a lot more punch now (the mids and lows hit me in the pit of my stomach). 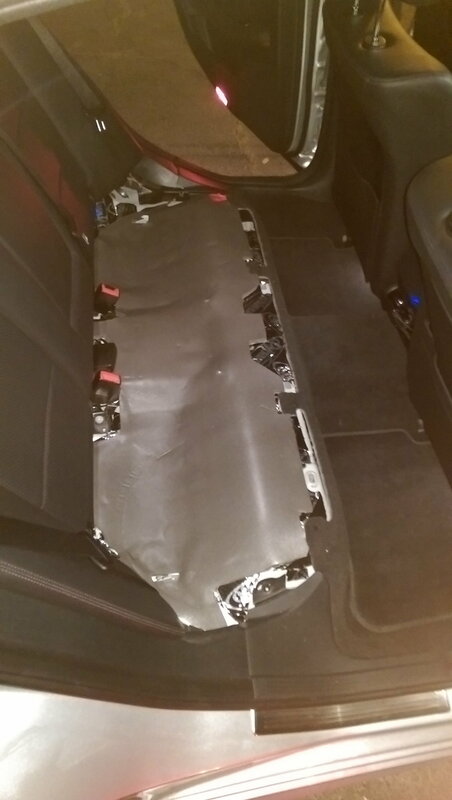 sound deadening mats.... After a couple hours and some cuts from the aluminum (use some good gloves) I was able to reduce some road noise from my e350 2014 sport model! 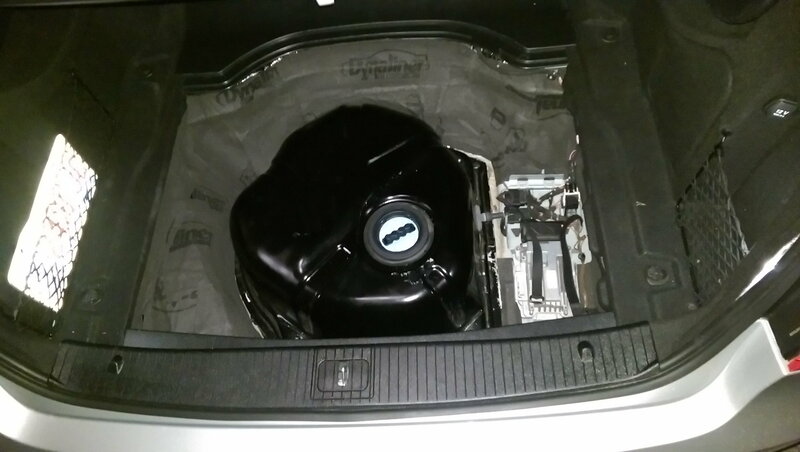 I was able to pull out the trunk panels and spare tire and noticed that the trunk contained a plastic cover for the tire which basically covers a 2 ft hole with a plastic mold. I covered it and also did the "tap test" to check the vibration of the metal and strategically cut and placed the mats. I noticed a huge difference in road noise. Now all I hear is some minor road noise due to changes in asphalt to cement. I also hear a lot of wind in the back. So far I believe this was a good investment since having a sport model with lowered suspension I do get some tire noise but also, I kind of enjoy listening to the wind blow past! Last edited by Timothy Glenn; 07-07-2018 at 12:30 AM. Reason: editing.